Dialup modem: You connect a dialup modem to your regular phone wall jack by using a standard telephone cord. (The modem’s cord probably came with the PC.) You plug in your dialup modem just like you plug in a telephone, and you leave the cord connected all the time. (The modem “hangs up” after a connection, just like a telephone.) 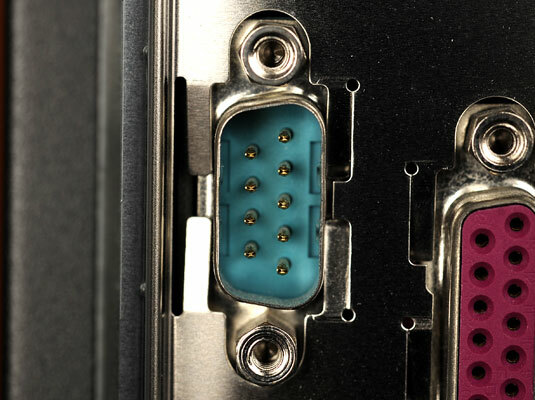 Your computer should have a jack for connecting to its internal dialup modem (if it has one). If you have an external dialup modem, it connects to either the USB port or the serial port on your computer. You still need a telephone cord to connect the external modem to the phone company’s wall jack. Note that external modems have on-off switches. Broadband modem: Whether it’s cable, DSL, or satellite, you plug this kind of modem into the computer’s networking jack (as shown in this figure), then into whatever outlet your modem requires. This type of jack has nine pins. Be careful not to confuse the modem’s jack with the networking jack. They look similar, but the networking jack is slightly wider.